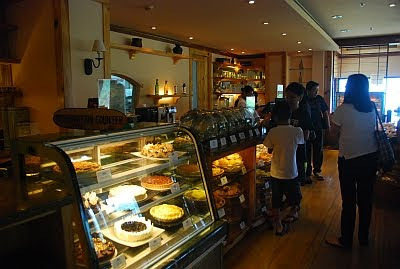 For Tutubi, the most compelling reason to choose Baguio Country Club over The Manor, Club John Hay is simply the famous Raisin Bread of the 100 year old institution in Baguio City where the rich and famous stay. 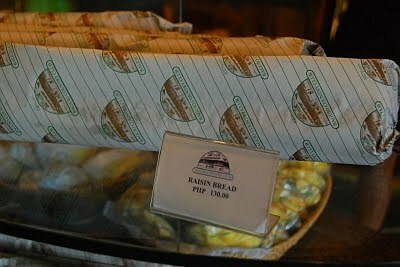 Aptly named Raisin Bread in honor of its famous product, the Raisin Bread is also known for its banana bread and other pastries, desserts and a hang-out place at Baguio Country Club. Tutubi stayed at Baguio Country Club during the last long weekend of April 9-11 (Araw ng Kagitingan) but it doesn't mean he's rich nor famous, it's just another one of his company's activities that he co-organized that took him for a planning trip to the City of Pines during the recent Panagbenga Festival (when the stars of ABS-CBN were billeted). The Baguio Country Club Banana Bread and Raisin Bread may also be purchased at Villa Cordillera along Outlook Drive and at the convenience store of the Caltex gasoline station on Legarda Avenue in Baguio City. Prices though are about 15 pesos higher. Raisin bread: sounds just delicious! Yum! 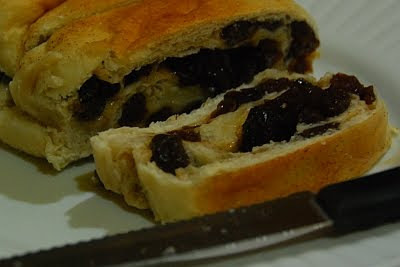 I've been to Baguio once but I havent tried that scrumptious raisin bread. Mukhang ang sarap sarap nga. The raisins are huge and plump. My mouth is watering. Your fault. that's a very attractive and scrumptious looking raisin bread. I want one right now !